Now that Spring is finally here, I can’t wait to get outside with my little guy and partake in some Spring activities. There is always so much hype around fall and winter activities, I feel like Spring is often forgotten. 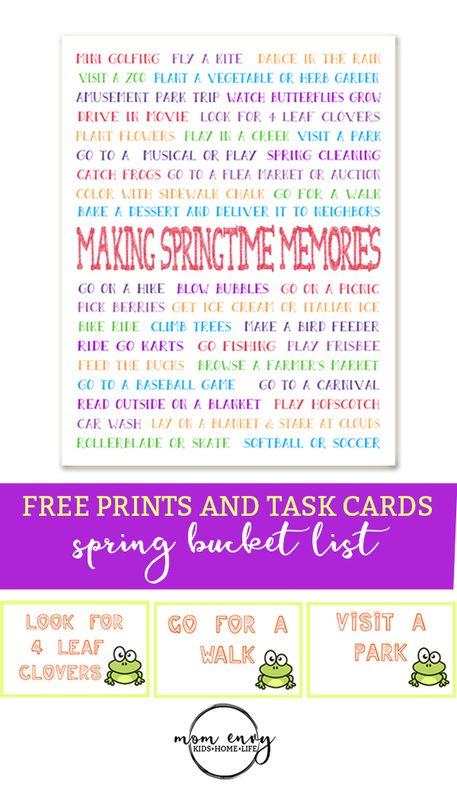 I have come up with 40 different activities that are perfect for making family memories this Spring. 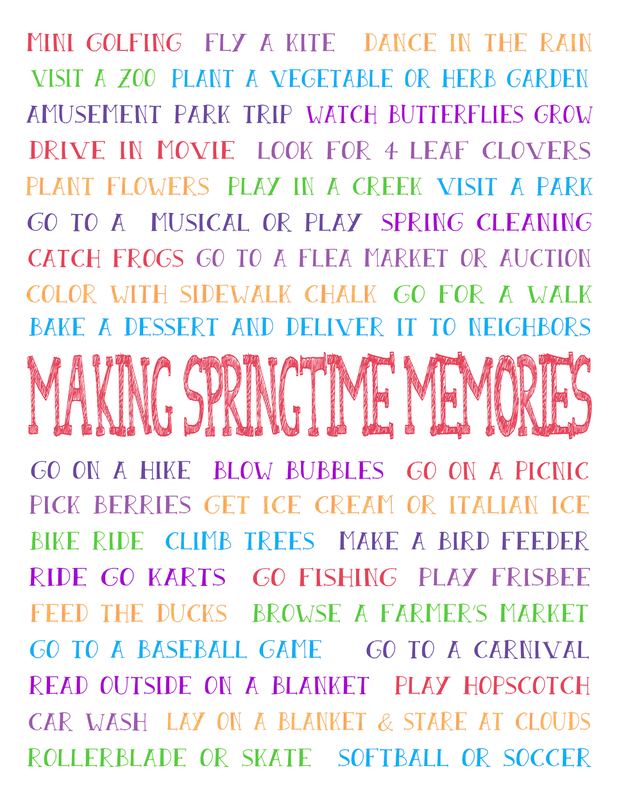 Let me know how you celebrate Spring so I can add them to my list! 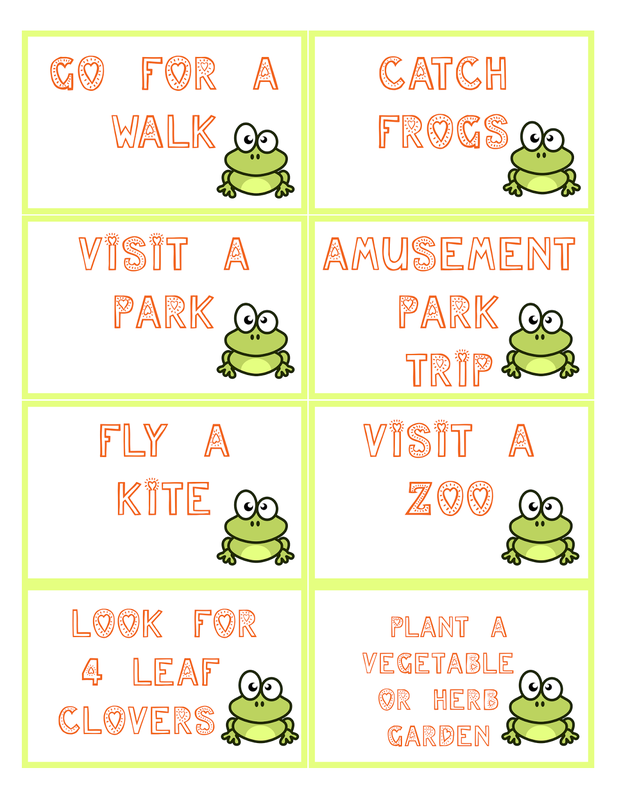 Free for you today is a printable poster and activity cards. When your kid is bored this weekend, you can have them pick out an activity to complete (if you’re watching Netflix busy, only give them the cards that they can complete independently). In addition to my ideas, there is a blank page for you to add your own items. Enjoy! 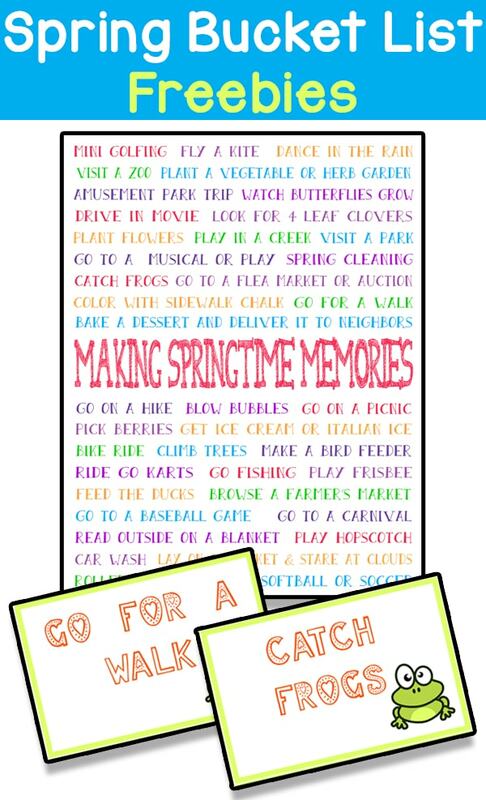 Below is an example of the spring bucket list cards. Each item on the bucket list is on one frog card. Print the cards, cut them out, throw out any you don’t want to do (just being real – not everyone wants to go catch frogs), and place them in a giant jar. Then when your kids are complaining their bored one day this spring, grab a card for instant inspiration. Visit a zoo (we’re getting an annual membership to ours. I can’t wait! Go to local school and college musicals and plays (our area has a lot of these. The talent is amazing). *This post was originally written for Bed Rested Teacher.